where kids play & learn, imagine & create! Inspire to Learn & Imagine camps offer safe place for kids to enjoy playing, learning and creating, where children build their self-confidence while triggering their lively imagination. During camps we work on special projects, play games, engage in challenges and contests. Children explore concepts of science, history, engineering, art and math while having lots of fun imagining and creating! Creative Brikster Camp: We have a Mission! Make the Coolest LEGO® Creation! 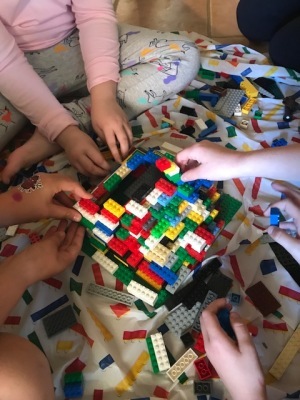 Campers will work with robotics, classic and technic LEGO® bricks, gears, motors and remote controls; campers will build amasing fun models, gadgets, machines and rides! Let’s imagine and design, become a LEGO® MASTERMIND! ​ Cool & Imaginative Maker Camp: Let’s start making! Campers will be involved in several hands-on projects and activities every day. No repeat projects during the entire summer! Kids will build circuits, design light-up projects, dance-making and music-making projects. Using various electronic, technic and every day materials such as Makey-Makey, Lego, LEDs, batteries, campers will turn science and engineering into their own cool creations. Kids will get to keep some of their projects. Join our coolest Escape Room Creator camp! 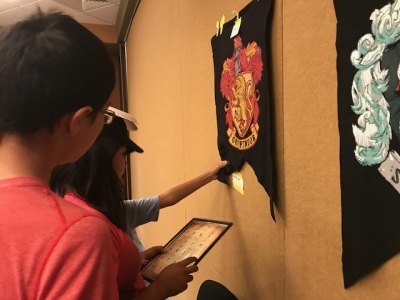 Campers will participate in a real escape room experience right here at the camp, learn different codes and ciphers, figure out puzzles and solve mysteries! In teams, kids will create puzzles, leave clues, and create mini-escape rooms of their own. Together, campers will create their own unique way to escape summer boredom! Let’s make it real! In this Augmented Reality Camp kids will experience and learn how to create an interactive, reality-based display of animated characters, friends, sounds and effects to project their imaginative experiences into stories, pictures, and videos, all mixed with fun activities and games. Kids will get to keep their creations and codes. CAMP MATERIALS: We provide all materials for the camp. We use materials that support engineering, science and architechtural objectives, including but not limited to Robots and Robotic kits, LEGO® Bricks, science experiment kits, Snap Circuits, Makey-Makey, and more. CAMP LENGTH : We offer half-day camps and full day camps. Half day camps last 3 hours, yet we strive to schedule two camps on the same day in the same location, so parents are generally able to sign up their kids for two camps on the same day and leave kids for the full day of unlimited fun with a supervised lunch break (lunch to be provided by parents). Full-day camps are generally 6 hours, however we offer early drop off and/or late pick up for a small fee. CAMP REGISTRATION: Parents must register their kids for the camps before the first day of the camp. CAMP SIZE : Minimum 6 children, maximum 24 children. PAYMENT GUIDELINES: Full payment is required at the time of the registration. CANCELLATION POLICY: Full refund less $50 non-refundable deposit per registration is offered if registration is cancelled more than 2 weeks prior to the start of the camp. 50% refund is offered if cancelled less than 2 weeks prior to the start of the camp. No refund is offered if registration is cancelled less than 48 hours prior to the start of the camp. No Refund is offered for missed days or early pick up. Credit or Refund (full or partial) may be considered in case of the documented sickness or emergency situation. Full refund is offered if class is cancelled by Inspire to Learn & Imagine. Please allow 2-4 weeks for a refund check. Copyright 2019 © All Rights Reserved Inspiretolearnandimagine. LEGO®, DUPLO®, Friends and Power Functions are trademarks of the LEGO Group of companies which does not sponsor, authorize, or endorse this website.